A unique wet-season trip designed especially for birders. This is the time when travel around the South Luangwa Park is mostly by boat and just the occasional muddy track. Other wildlife has largely dispersed around the park, but the birds are there in profusion with 400 species, including 47 birds of prey plus 32 migrants. Add a Victoria Falls package for a complete Zambia experience. Please note: on this itinerary, your days will be shared between Kakuli and Chinzombo dependent on availability and local conditions. There will be ample opportunity to fully enjoy both locations. Travel along the Luangwa River by boat which will be teeming with hippos and crocodiles. Speak to someone who’s been to Zambia. Start planning your tailor-made trip by calling one of our friendly destination specialists on 0800 195 3385 or 44 1625 581143 for outside the UK. On arrival at Mfuwe Airport, you will be met by your guide and transferred to Chinzombo, one of the most luxurious camps in the Luangwa Valley. Game viewing this evening will be by vehicle, leaving camp around 4pm after a spot of high tea. It is traditional to stop inside the park for sundowners, allowing you time to enjoy your first magnificent Zambian sunset. The second half of the drive is usually conducted after dark and focused towards spotting some of the nocturnal species that the park hosts. Your second day will begin with a light breakfast around the camp fire before an early morning game drive, making the most of the very photogenic morning light. You will return to camp in time for a delicious buffet brunch before having a few hours to relax. Late afternoon you will head out for your second activity where you will be treated to spectacular skyscapes and sunsets, a wealth of migratory birds and crystal clear night skies perfect for star gazing. After breakfast you will be transferred by boat to Kakuli Bush Camp, one of the only bush camps inside the park to be open during the wet season. 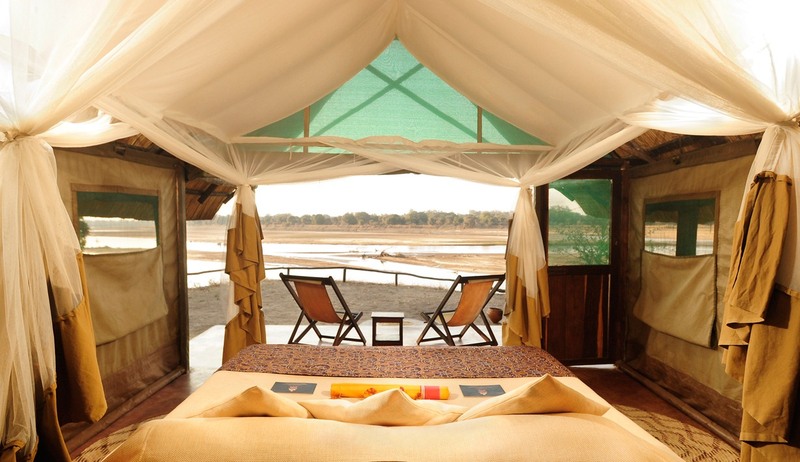 Kakuli features luxury tents which overlook the Luangwa River, home to one of the largest concentrations of crocodiles and hippos in Africa. 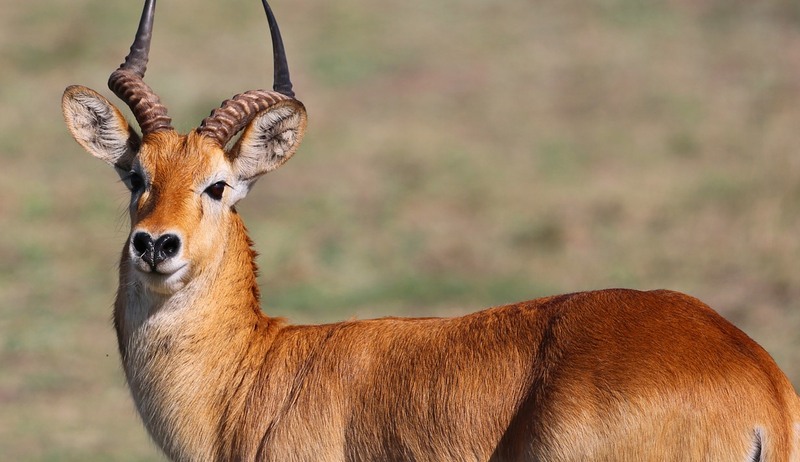 Your days will be made up of a mix of walking and boating safaris which will help create a truly unforgettable safari experience for photographers, wildlife enthusiasts and keen birders alike. Mid morning you will travel back down stream by boat to Chinzombo where you will spend your last two nights. 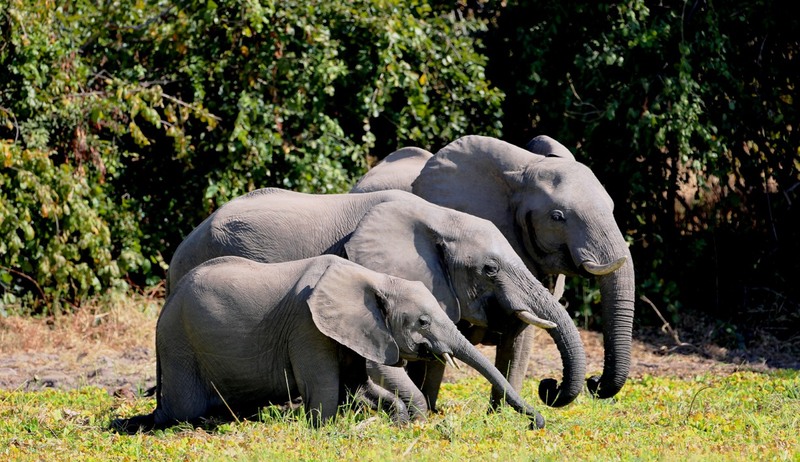 As your time draws to close you will begin to realise this is one of the most exciting times to visit the Luangwa Valley with the bush in its fullest flush of growth and teeming with new life. After a relaxed breakfast it is time to bid farewell to the camp and its staff and set off on one last game drive across the park and eventually to Mfuwe airport ready for your onward flight to Lusaka. 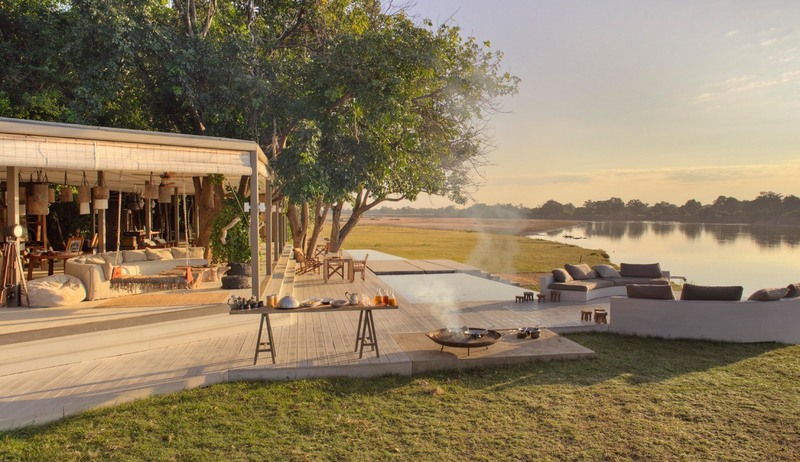 The only true bush camp in the South Luangwa National Park, the Kakuli Bush Camp offers an authentic safari experience with spectacular views on the banks of the Luangwa River. The Kakuli Bush Camp is situated on an elevated stretch of river bank overlooking a wide grazing lawn which follows the Luangwa River until it meets the confluence of the Luwi River, and this area of the park is renowned for offering some of the best game viewing opportunities in Zambia. Accommodation is provided in four beautiful traditional walk-in tents made from natural materials, all of which have en-suite bathrooms and have been immaculately furnished and decorated. The main area of the camp consists of a delightful bar and dining chitenje (lounge) which has been constructed from reed and thatch and overlooks the grazing lawn that leads down to the rivers. 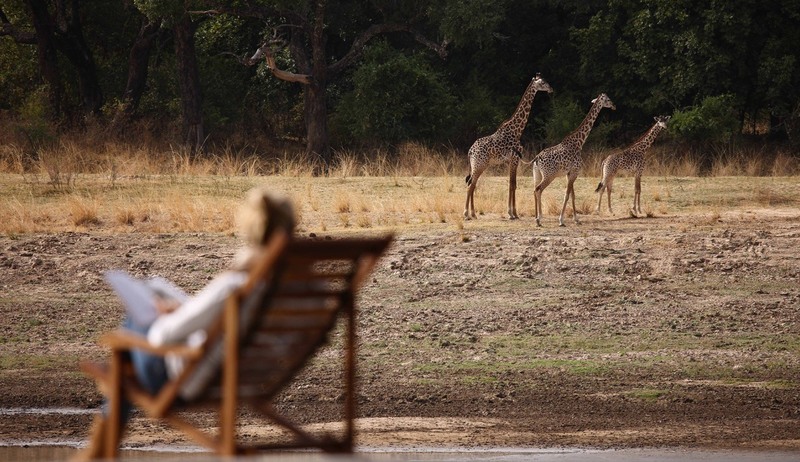 This is the perfect spot in which to relax and enjoy the spectacular views and watch the wildlife meander by. 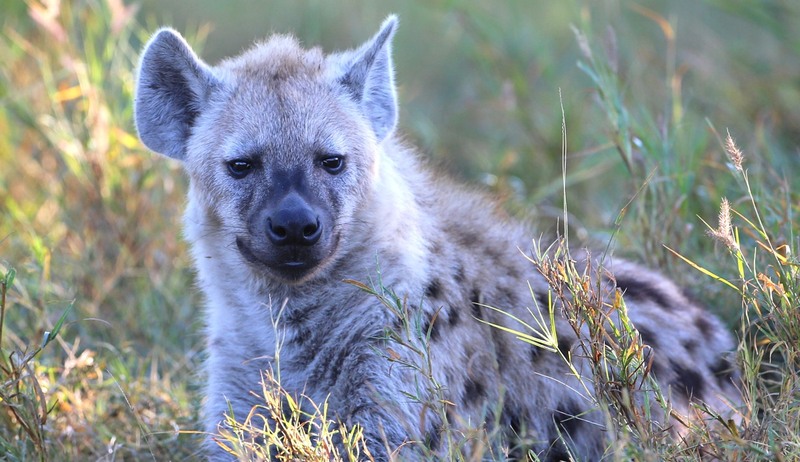 Safari activities from Kakuli can be a mixture of game drives and walking safaris; guests are able to decide each day if they want to venture out on foot or with the vehicle. Most evenings however, you will want to explore the area after dark. 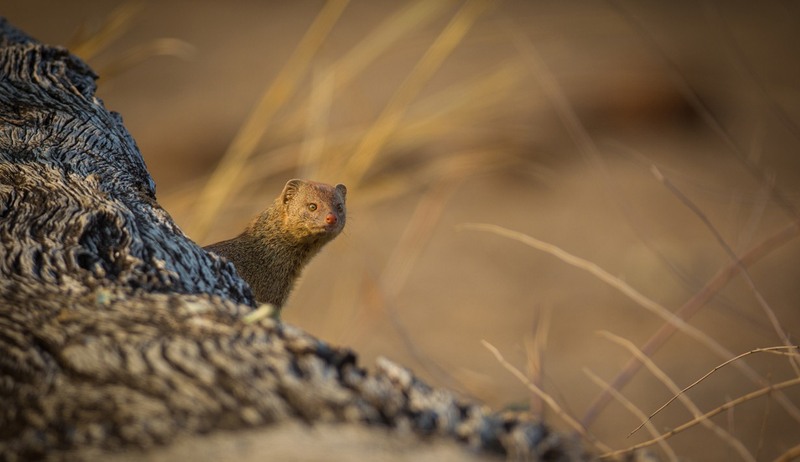 This stretch of the Luangwa is bustling with predators and the best time to see them in action is during those first few hours of darkness. 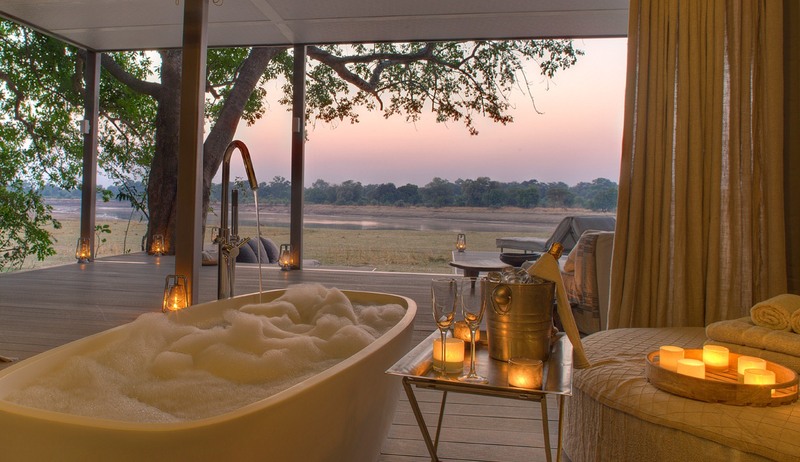 Set within 60 acres of private land on the Luangwa River this newly constructed luxury camp offers the highest levels of comfort, style and elegance in one of the most game rich areas of the Luangwa National Park. 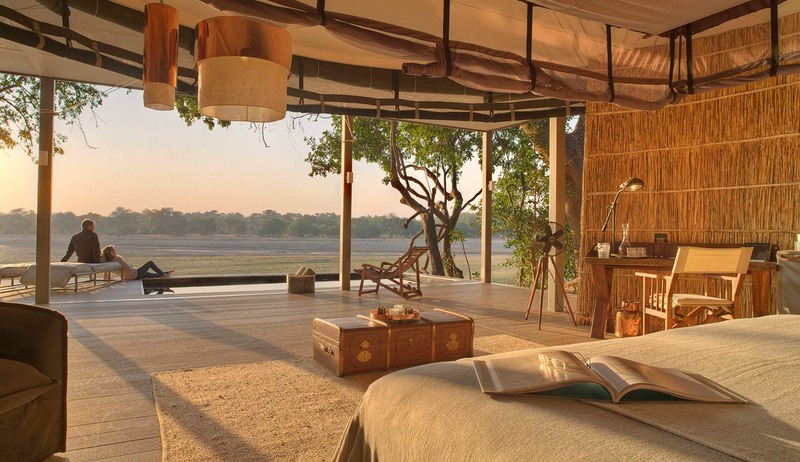 Designed by award winning architects, Chinzombo brings a level of luxury previously unseen in the Luangwa Valley. 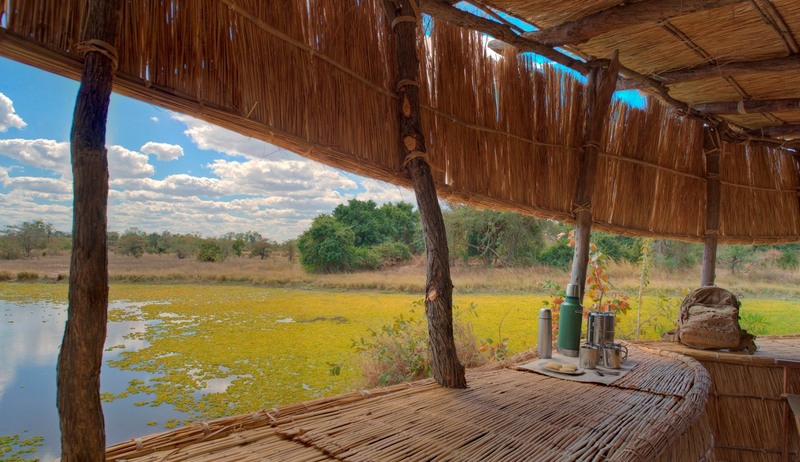 Although the camp is fantastically luxurious, a lot of work has gone in to ensuring that it retains an authentic bush feeling and great detail has been applied to the grass and canvas walls which adorn the spacious living areas and blend into the beautiful surroundings of the camp. Accommodation is provided in six stunning spacious villas with very large bathrooms and grand sleeping areas. Luxurious and comfortable beds will ensure a great night's sleep and with each villa having its own private swimming pool you can relax in the sun or take a midnight dip under the crystal clear skies. This grand safari camp has a beautiful main area with spacious and relaxing lounge, bar and dining areas for enjoying the tranquillity and spectacular views on offer. 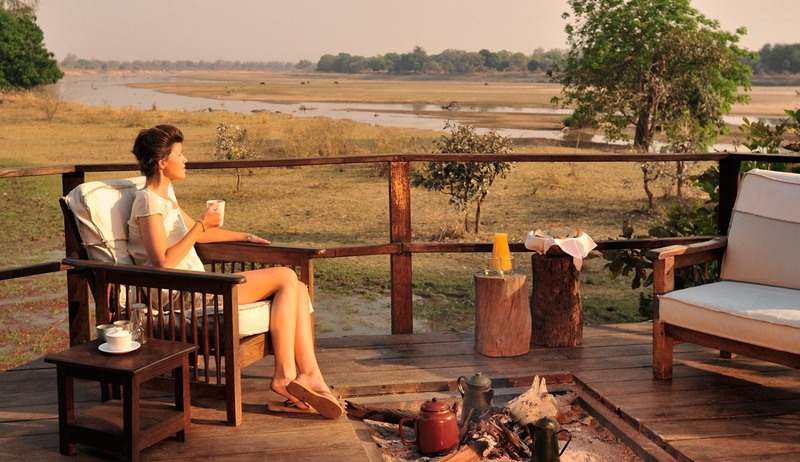 Chinzombo Camp is the perfect place from which to explore the majestic wilds of the Luangwa in style, luxury and exclusivity, and a wide range of activities and adventures can arranged at your request, whether it be a walking safari or an afternoon game drive.